September was a roller coaster of emotions for NFL fans: the joy of a new season collided with shock and disappointment over the actions of players and Commissioner Roger Goodell. Although we can't undo the damage that has been done, the NFL can move forward and pledge to be better, which is particularly critical to preserving the league's relationship with female fans. 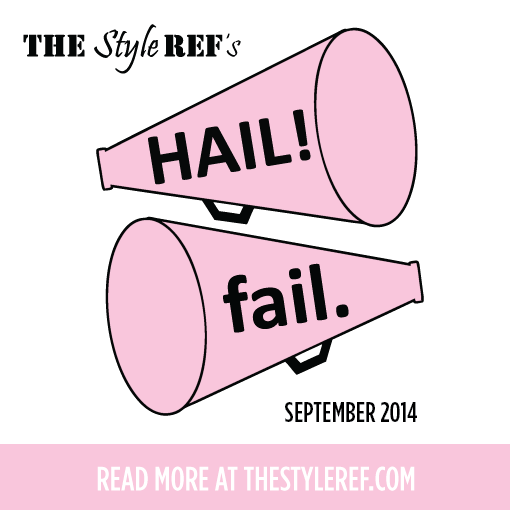 If you got lost in the frenzy this month, catch up with The Style Ref's hails (worth cheering about) and fails (worth sneering about) in sports fan fashion and style for September 2014. Every football fan's favorite season has officially begun! 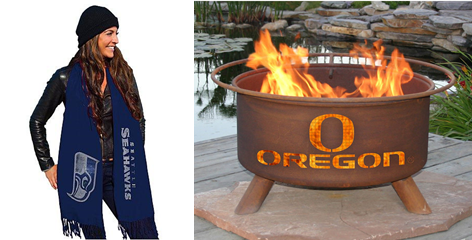 Fall brings so many wonderful sights, sounds and smells, so get prepared to enjoy it in style with products like an NFL Bling Pashmina Scarf or College Team Fire Pit. Covergirl launched an NFL-themed campaign asking females fans to "get your game face on" with beauty essentials customized for every team. The only problem was Covergirl didn't do the research. The campaign launched with only a handful of NFL teams and even listed teams in the wrong divisions. A cool idea by a respected brand backfired with female fans in a major way and to think, it all could've been avoided with a simple Google search. Although the Covergirl campaign launch was clearly a fail, something positive came out of this negative. 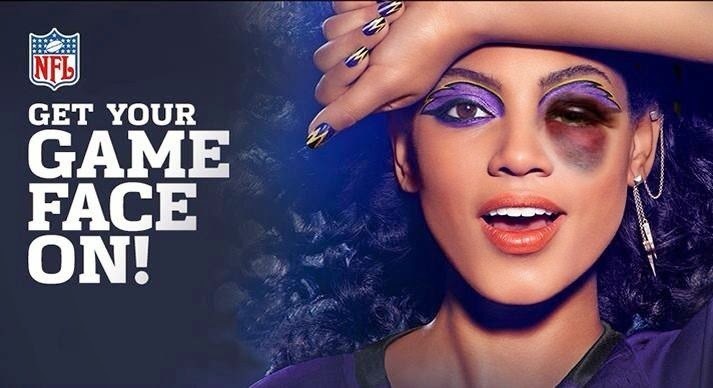 In the wake of the Ray Rice fallout and Roger Goodell's inadequate handling of the situation, Covergirl's campaign advertisement inadvertently became a statement against domestic violence and a call for Goodell's resignation. The photoshopped ad is a startlingly profound take on how something innocent and beautiful (like a relationship) can turn very ugly. TSR is a big fan of Jessie Decker and her hunky husband/New York Jets player Eric Decker. She's extremely supportive of his career, even flying to last year's Super Bowl at eight months pregnant when Eric was with the Denver Broncos. However, Mrs. Decker hosted the Smirnoff Ice Ladies with Game Tailgate Party this month and something blatantly obvious was missing...no, not her husband - Jets gear! 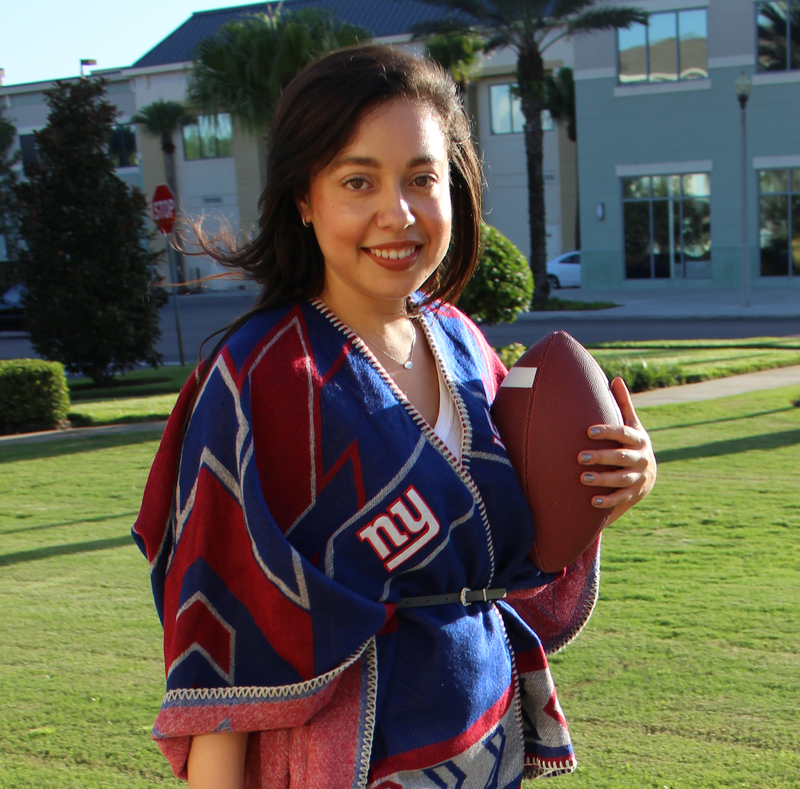 As a passionate pro football player's wife, why show up to a football-themed event without even one stitch of team spirit? Get 'em next time, girl! TSR spread the word of sports fan fashion and style at FLBlogCon this month, an annual conference for bloggers in Florida. 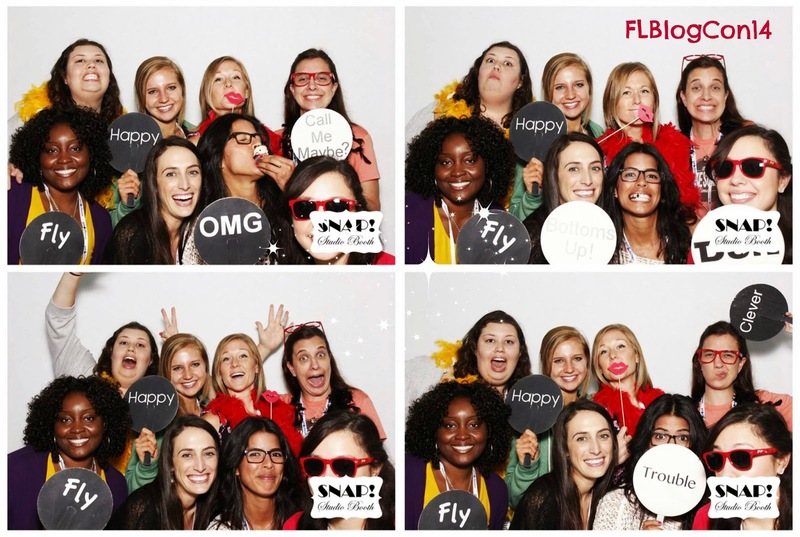 There were tons of great people and brands there to network with and learn from. If you're a blogger in the sunshine state, it's a highly recommended event to attend. Can't wait for next year! Although women represent 46% of the NFL's fan base, they still deal with some annoying realities during football season. Of these, one that rings terribly true is the assumption that pink jerseys are in demand. As Elite Daily so eloquently put it, "There is a time and place for pink football jerseys, and that time and place is never and nowhere." Do you think TSR got it right? Leave your Hails and Fails for September in the comments!